For the third year in a row, Saint Mary’s College of California has been listed as one of the top 10 best regional universities in the West in the just released 2018 U.S. News & World Report Best Colleges rankings. The College was also ranked 19th for Best Value for Western regional universities, fifth in California for Best Online MBA Programs, and third in the state for Best Online Master’s in Business Programs. Shaped by three traditions—Catholic, Lasallian, and liberal arts—Saint Mary’s offers close connections between students and professors, experiential learning and research opportunities, and a strong commitment to social justice and transformative teaching by outstanding faculty. “We are extremely proud that Saint Mary’s has once again been recognized by U.S. News & World Report as among the top 10 institutions of higher education in the Western region of the nation,” said President James Donahue. “The distinction acknowledges the College’s academic excellence, student-centered focus, remarkable faculty, and unwavering faith-inspired mission to prepare students for meaningful lives, and success in both their professional and personal pursuits." The U.S. News rankings focus on academic excellence, with schools ranked on up to 15 measures of academic quality. Overall, the rankings emphasize student outcomes—including graduation and retention rates—which carry the most weight at 30 percent. Saint Mary's tied for ninth best of Western regional universities. The College’s average freshman retention rate of 88 percent is the 11th highest out of the Western regional universities. The regional universities classification includes 659 institutions within four broad regions—North, South, Midwest, and West. Like national universities, regional universities offer a full range of undergraduate majors and master’s programs. A primary difference between regional and national universities in the rankings is the former offer few, if any, doctoral research degree programs. As a comprehensive university, Saint Mary’s offers undergraduate and master’s programs and a doctoral degree in education. Find out more about Saint Mary's as a top 10 regional university in the 2018 U.S. News & World Report Best Colleges guide. The Saint Mary's College of California experience inspires learning that lasts a lifetime. For more than 150 years, the College has provided students with a rigorous education that engages their intellect and spirit, and awakens a desire to transform society. Guided by the Christian Brothers, the Catholic Church's oldest order dedicated exclusively to teaching, the College enrolls more than 4,000 students in undergraduate and graduate liberal arts and business programs. 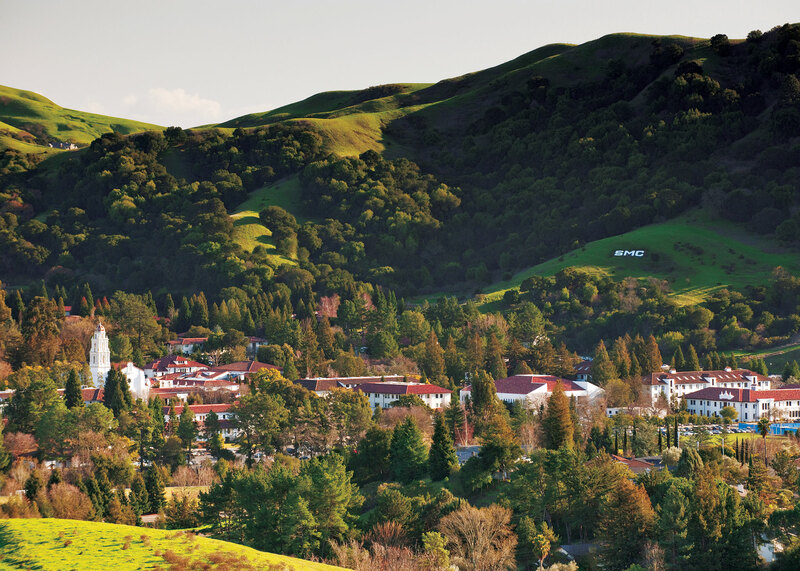 For more information visit Saint Mary's College at stmarys-ca.edu and just 23 miles east of San Francisco.